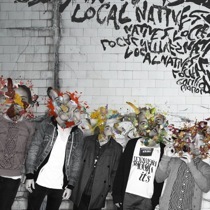 WIN A PAIR OF TIX TO LOCAL NATIVES MAY 26 AT NEUROLUX FROM THE RX! Want to win a pair of tickets to Local Natives‘ May 26 show at Neurolux? The first person to visit The Record Exchange and purchase the band’s new album Gorilla Manor will receive a pair of tix! Next STREAM THE NEW BLACK KEYS ALBUM, THEN GET IT AT RECORD EXCHANGE FOR $9.99 FOR ONE WEEK STARTING MAY 18!